After sharing part of this story in my Sunday school class this morning during our lesson on witnessing, I decided to share it here too. I wrote it the day this happened, a few weeks before Christmas. I still think of the young mom who smiled at me that day and pray she is blessed! 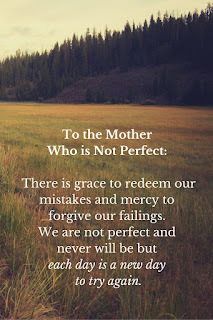 I can hardly believe that it was just this morning when I submitted an essay I wrote some time ago titled "To the Mother Who is Not Perfect" to the Hearth and Home magazine. 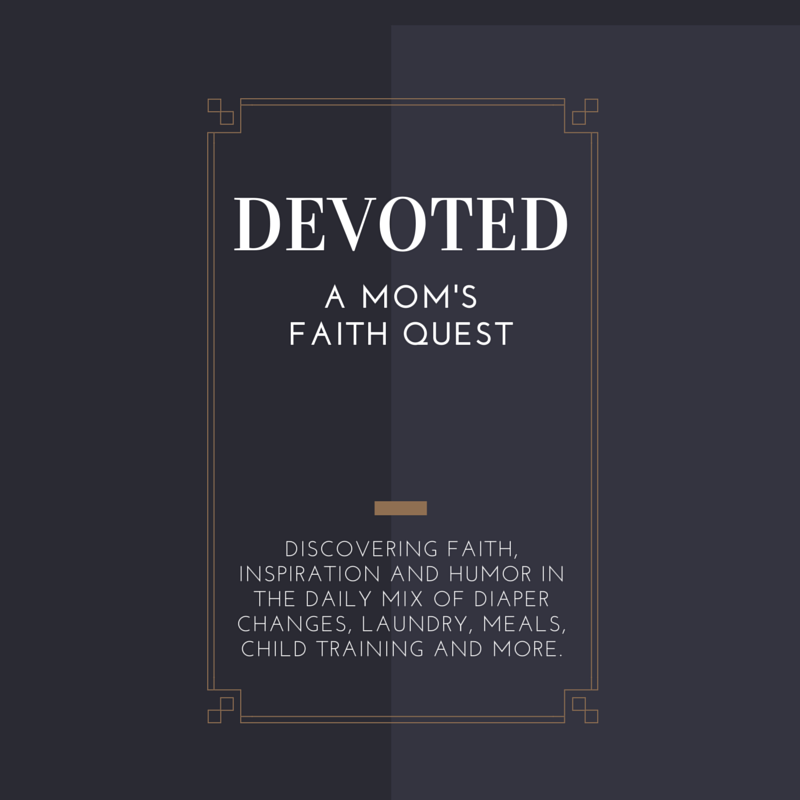 I had no way of knowing I would likely be the first mom to read it who needed those words so desperately. I got up early in preparation for a day of Christmas shopping with my two chilluns. Kev had left earlier in order to be on time for an MRI appointment. He was feeling particularly low and very tired the last few days so I knew I couldn't expect much help from him with the children or shopping but I hoped to have a few moments at least during which I could shop for Christmas gifts without the children along. As it turned out, Kev was able to sit with Mr H for a short while during his nap in the car seat while Miss M and I shopped; he then went directly home and I was left to finish the Christmas shopping with the two littles. By late afternoon the children were starting to be pretty hyper, understandably since they'd had very little time to exercise throughout the day. We'd just had a light supper and I was shopping the mall with a relatively short list and hoping to get one final grocery stop made before I headed home when it happened. The physical and emotional strain of a long day of Christmas shopping with 2- and 4-year-olds was showing. Tired of constantly reminding the children not to take things off the shelves, quit touching each other and stay seated, I became careless. Even as I was reminding Mr H to sit down because I didn't want him to fall and hurt himself, I began moving the stroller before he had a chance to completely sit down and - he fell. At first I didn't think it had been such a bad fall since he was still partially in the stroller but I saw he had scraped his forehead a little and he cried very hard. It took me a while to realize that it was his thumb that hurt worst. The most painful part and what I felt so reproved for is the ugly thought that had crossed my mind, that if he did fall, maybe it would teach him something. As I reflected on that later, God reminded me that maybe it would teach ME something. I can't hold my children accountable for something I haven't taught them. If I haven't taught my son to listen, I cannot become careless when he behaves as usual and doesn't listen. I was further smitten with guilt when I caught a glimpse of two women at the end of the aisle looking our way and then turning away as he began to cry. I was sure they'd seen my horrible, thoughtless move and that they must think I was the worst mother ever. I certainly felt like the worst mother ever. All this after I had prayed so much for wisdom, grace and help for my day and that others would see Jesus in me! What ever would they have seen? It couldn't have been Jesus, I was sure! As I hurried out of the store my son began to cry again and I stopped to see just how bad his thumb looked. I noticed a young mom with a little child sitting nearby on a bench and noted the kind, sympathetic smile on her face. A short time later I met her again and it seemed like her direct and caring smile was a touch from Jesus himself. "Oh Lord, I am so very reproved and yet so grateful," I prayed, "Was it your plan that instead of me showing Jesus to others today, they would show Him to me instead?" I hope the young mother who took the time to simply smile kindly will be blessed immeasurably. How simple a gesture that even the most feeble, weak or weary person is capable of: a genuine smile that's shared from the heart! And how seldom I share one, I know; may my eyes be opened to the truly great things I can do, though they may be ever so small. 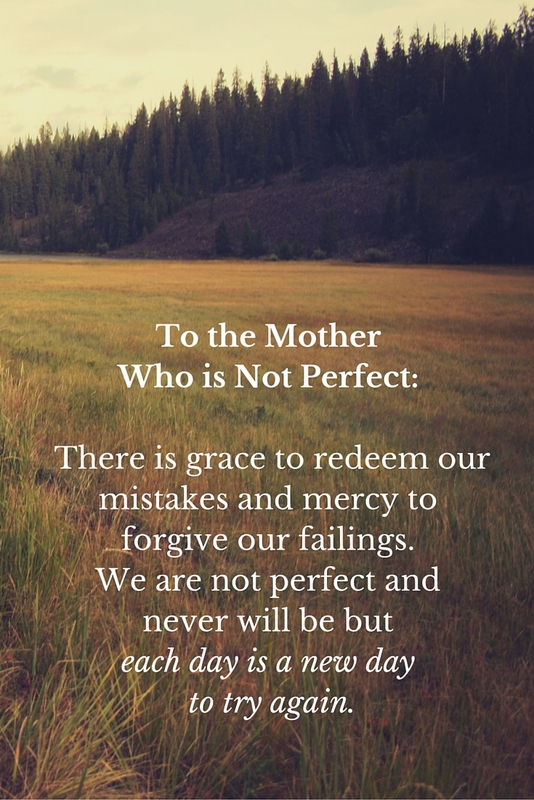 "To the mother who is not perfect: There is grace to redeem our mistakes and mercy to forgive our failings. We are not perfect and never will be but each day is a new day to try again."